When you ask what are the main things to do in Hawaii, usually Pearl Harbor is first on the list. Pearl Harbor is not necessarily the most accurate name for the location where tourists go. The appropriate name is World War II Valor in the Pacific National Monument. What is the difference between a National Park and National Monument? The difference is the purpose. National Parks serve to preserve scenery and nature, and recreational areas. National Monuments, on the other hand, preserve historical, cultural and scientific sites. Pearl Harbor fits under historical, so it is a national monument. Both national parks and national monuments are operated by the National Park Service. Pearl Harbor is no exception, but it works in cooperation with the Navy because it is located on an active Navy base. What is included in the WWII Valor in the Pacific National Monument? The USS Arizona Memorial and the Pearl Harbor Visitor Center is the main site in the Monument. The Oklahoma and Utah Memorials on Ford Island, Officer bungalows on Ford Island, and Battleship Row are also part of the monument at Pearl Harbor. Other sites in the pacific include sites in Alaska and California. 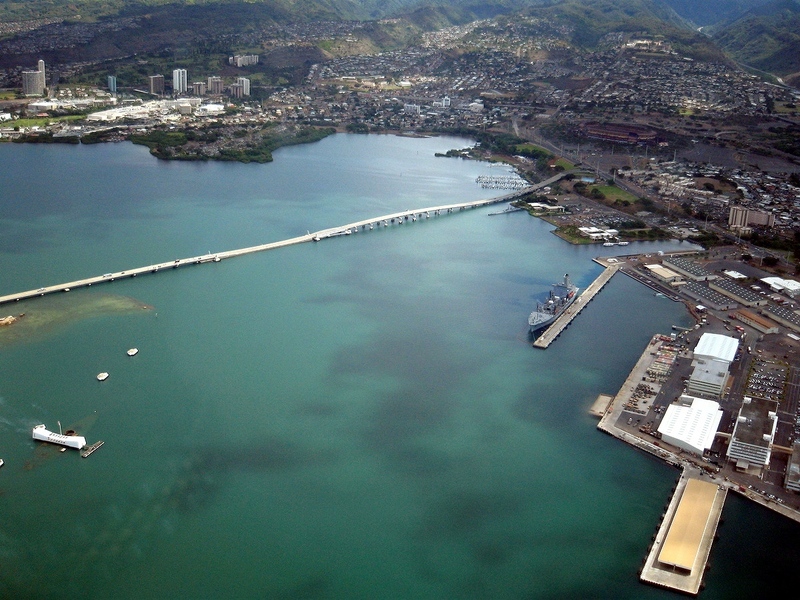 All Pearl Harbor Tours visit the Pacific National Monument. All visitors are subject to the Pearl Harbor Security Policies, so please review them before your visit.